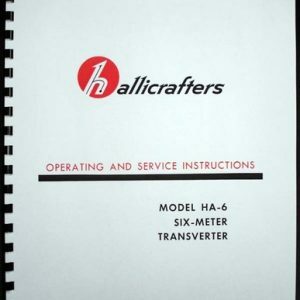 For sale is reprint of Hallicrafters HA-20 Manual. 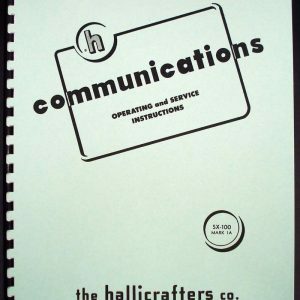 Manual is 8 pages long and includes 11×17 foldout with enlarged circuit digram. 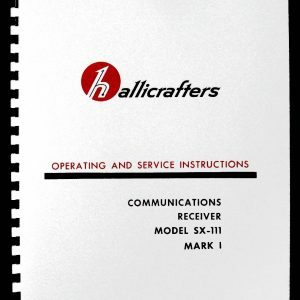 Hallicrafters HA-20 is an accessory to SR-400 and SR-2000 Transceivers. 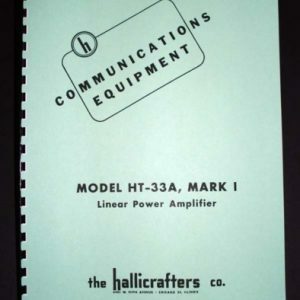 It enables the operator to select transmit and receive frequencies that are separated by as much as 500Khz. 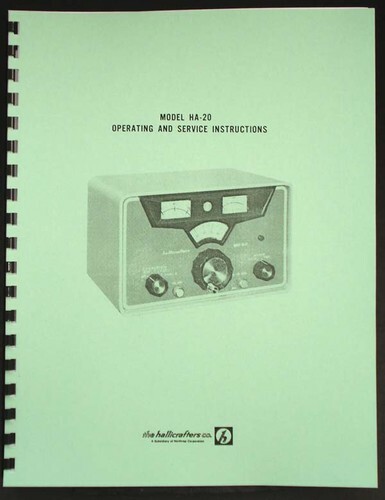 Comes with Tube Socket Voltage Chart, Diagrams of bottom and top of the receiver with part locations.